Edited by Matthias Kreuels, Martin Ducker, Jurgen Essl, Wilm Geismann, Mathias Kohlmann, Leo Langer, Jurgen Ochs, Thomas Drescher, Brigitte Frohlich, Jurgen Maag, and Stephan Rommelspacher. 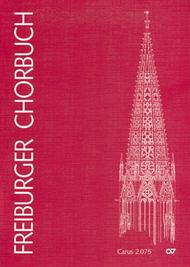 Hymns by Martin Luther: Verleih uns Frieden gnadiglich; Choral collections. 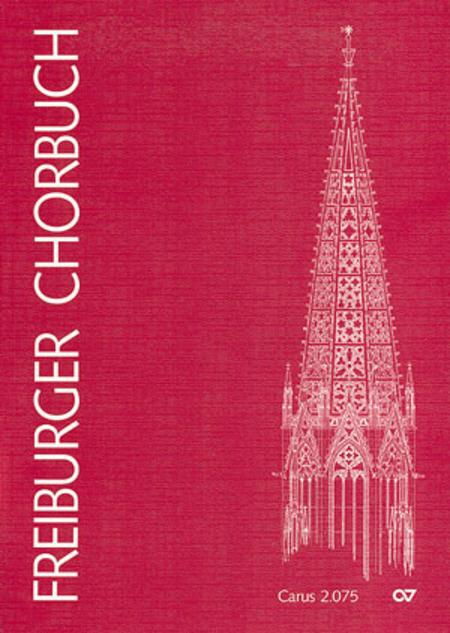 Freiburger Chorbuch I Einzelexempl. Sacred, Hymns, Hymn settings, Magnificat, Masses, Latin, Mass Sections, Motets, Psalms, German, Psalms, Latin; Choral Collections, Mixed Choir; Occasions: Eucharist, Communion, Peace and Justice, Prayer, First Communion, Confirmation, Praise and thanks, F. Choir Book. 256 pages. Carus Verlag #CV 02.075/00. Published by Carus Verlag (CA.207500).